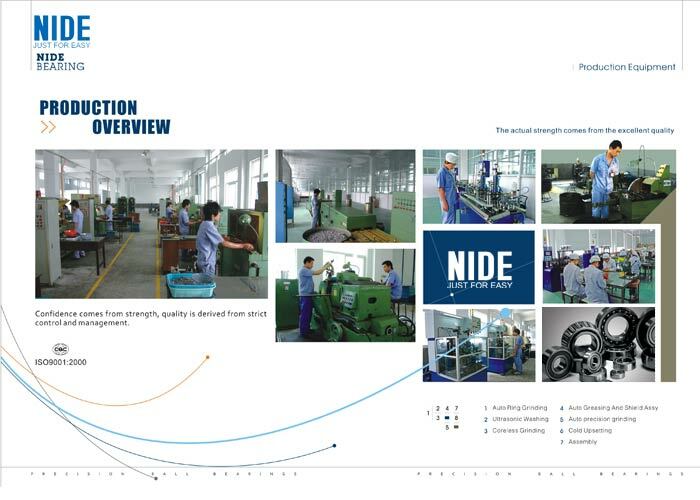 Automobile industrial stainless steel ball bearings with low noise-Ningbo Haishu Nide International Co., Ltd. Bearing vibration is closely related to bearing noise. In general a rolling bearing does mot generate noise by itself. What is perceived as "bearing noise" is in fact the audible effect of the vibrations generated directly or indirectly by the bearing on the surrounding structure. Therefore, vibration is the root cause of noise, while noise is the reflection of the vibration. 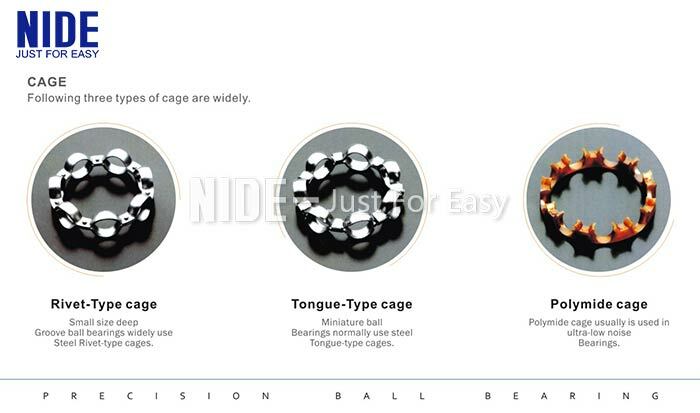 Nide team could manufacture ball bearing as per customer's drawing and samples. If customer only has samples, we could also design drawing for our customer. We also provide customized service. Furthermore, the machine electronically translates these signals by a heterodyning process, making them audible, so that inspectors can hear these sounds from the machine speaker and see them as intensity increments on a meter. By this way, testing results also enable the determination of the likely cause of the bearing irregularity. NIDE is making 100% such noise and vibration testing before every single bearing leaves the factory. 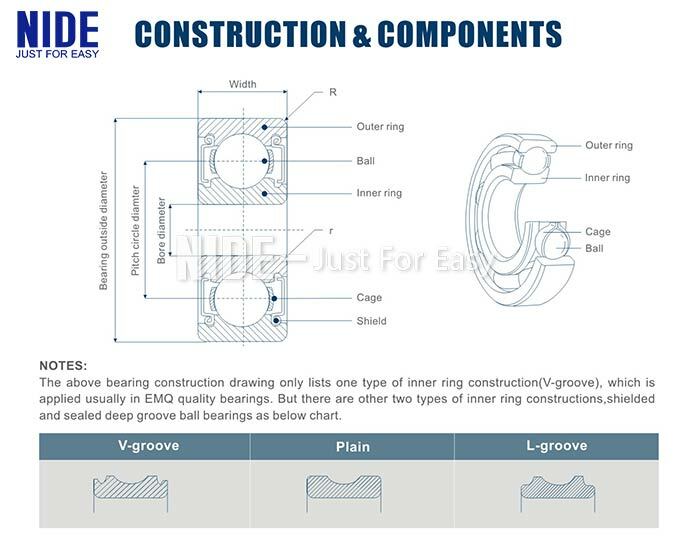 Also, NIDE has recently significantly improved design of deep groove ball bearings, to further reduce noise and vibration levels. Countermeasures: Can not be avoided, but could reduce the vibration level by selecting the proper clearance due to the application. 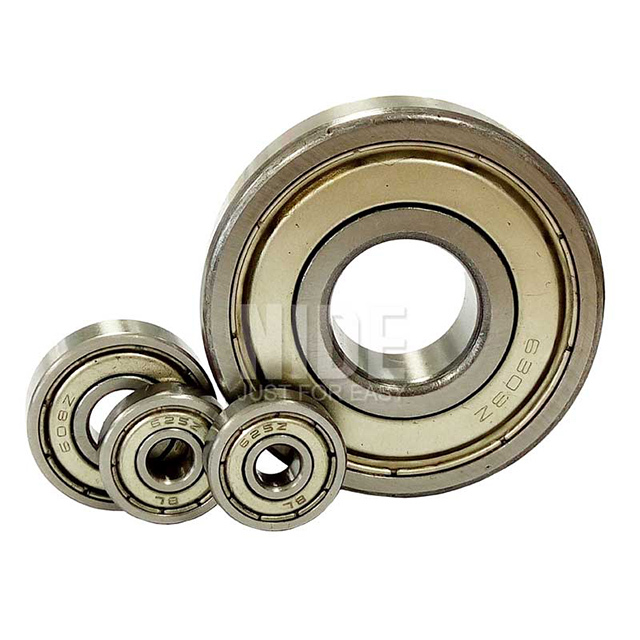 Description: Disturbed noises occur with the performance degrades of bearings in modes known as wear oxidation or corrosion fretting. Cause: The contaminated surrounding environment affects bearing. Loaded bearing operate without sufficient lubrication. Countermeasures: These conditions can be relieved by properly designed isolation supports and adequate lubrication. Description: Not well-aligned bearings make noise when they are rotating. Cause: Bearings are not well aligned on the shafts or houses during installation. The shafts and houses are not accurate. Countermeasures: Good alignment methods and special alignment tools to reduce vibration. Applying hight accuracy shafts and houses. Description: The small damaged sections on the raceways and rolling elements generate a specific vibration frequency. Cause: Mishandling or incorrect mounting. 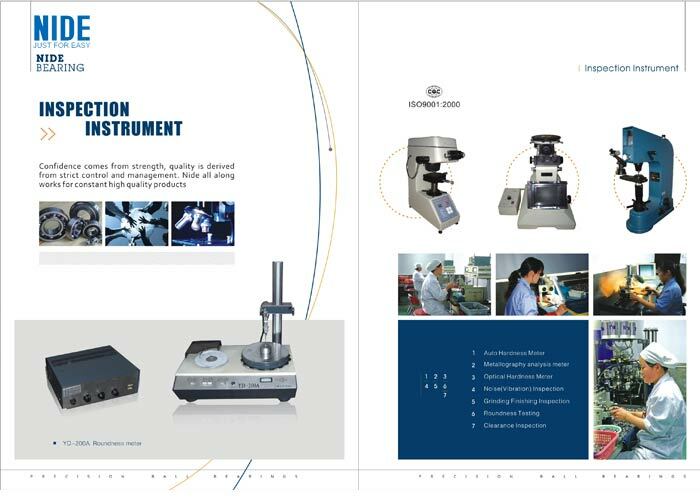 Countermeasures: Applying correct mounting methods and mechanical tools such as fitting tools, applying induction heaters with time control and pre-set temperature mode.